CBG antibody LS-C186140 is an unconjugated rabbit polyclonal antibody to human CBG (SERPINA6). Validated for ICC and WB. 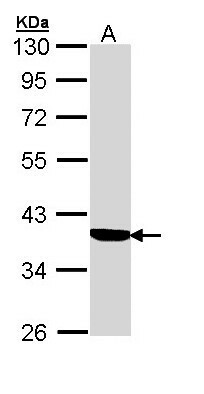 SERPINA6 / CBG antibody was raised against recombinant protein fragment contain a sequence corresponding to a region within amino acids 105 and 353 of Cortisol Binding Globulin. Immunofluorescence of paraformaldehyde-fixed A549 using Cortisol Binding Globulin antibody at 1:200 dilution. Sample (30 ug of whole cell lysate). A: A431 . 10% SDS PAGE. 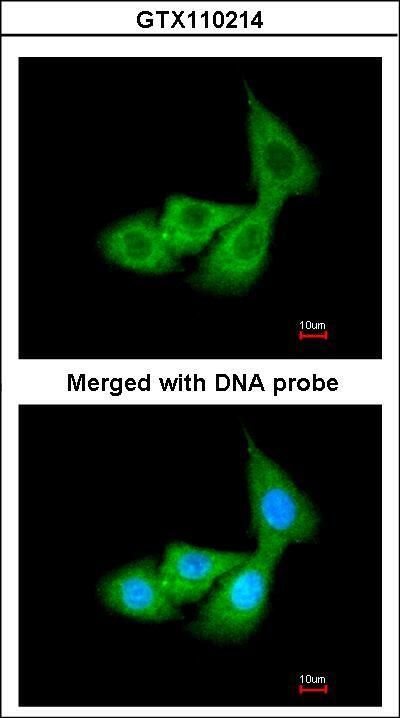 CBG / SERPINA6 antibody diluted at 1:1000.